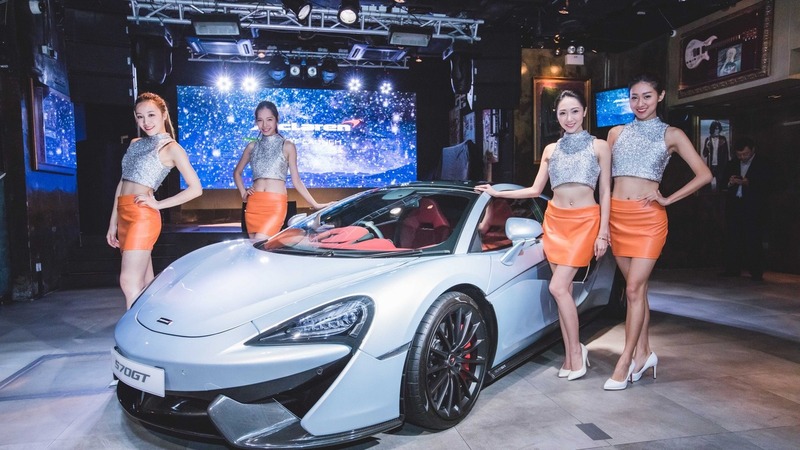 "The most luxurious and refined" McLaren ever costs HK$3.4 million. 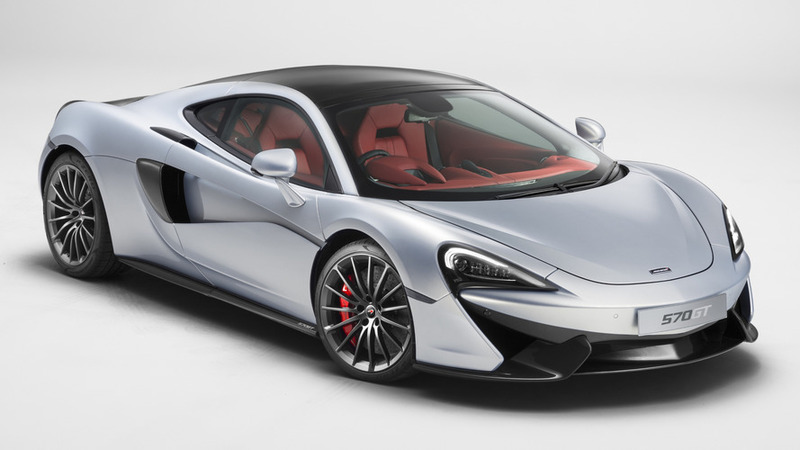 Introduced in March at the Geneva Motor Show, the McLaren 570GT has now landed in Hong Kong as part of the latest addition to the company’s Sports Series which also includes the 570S and the 540C. 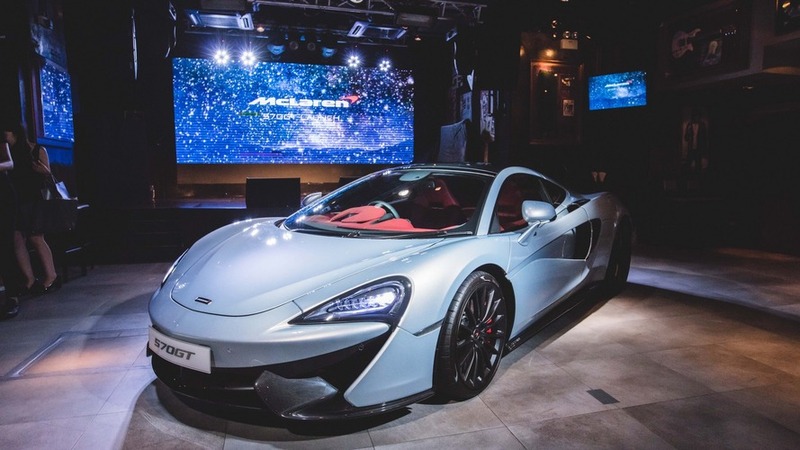 The fancy launch event was organized at the LKF Tower in Lan Kwai Fong in the heart of Hong Kong and it gathered hundreds of people during the five-hour-long VIP party. The newest member of the family aims to deliver just about the same level of performance and engagement as the 570S, but in a considerably more practical package. For example, the side-opening rear glass hatch can carry 220 liters (7.8 cubic feet) of cargo to make the 570GT more suitable for long-distance journeys. It still has the 570S’ front luggage area with a capacity of 150 liters (5.3 cu. 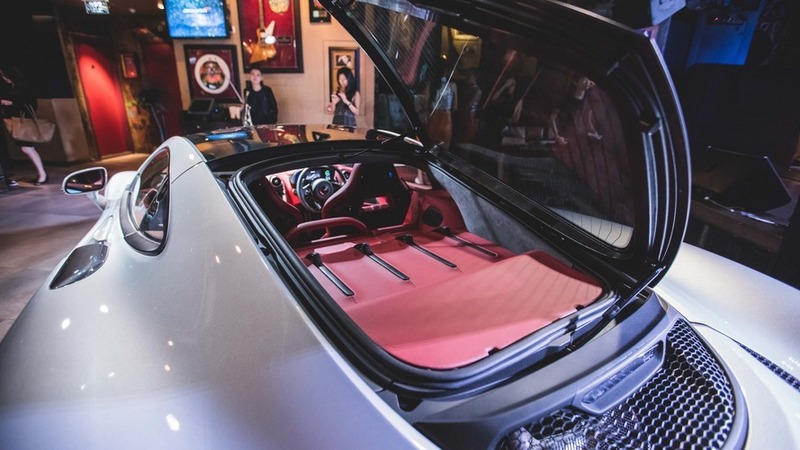 ft), so in total the easier-to-live-with supercar has a cargo capacity of 370 liters (13 cu. ft.) which is actually substantially more than a Ford Focus hatchback (316 liters). To make your trips even more enjoyable, McLaren and Pirelli have joined forces for a bespoke set of P Zero tires that have reduced in-cabin road noise by as much as three decibels. 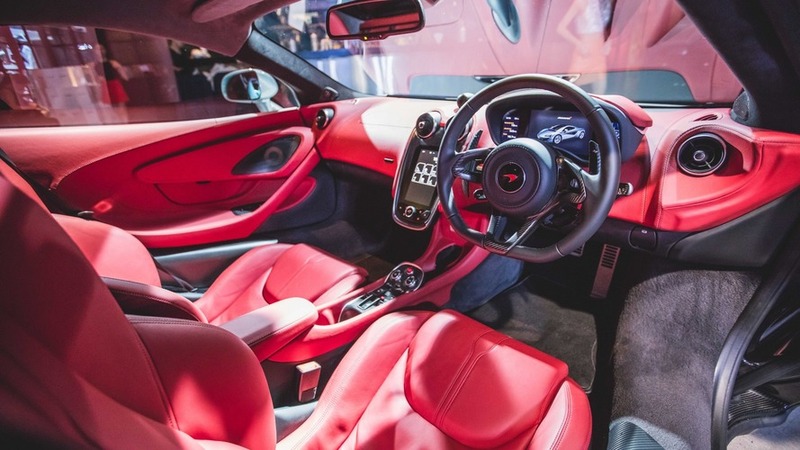 In order to live up to its grand tourer status, the 570GT comes with tweaked suspension and steering systems to further boost long-distance comfort. 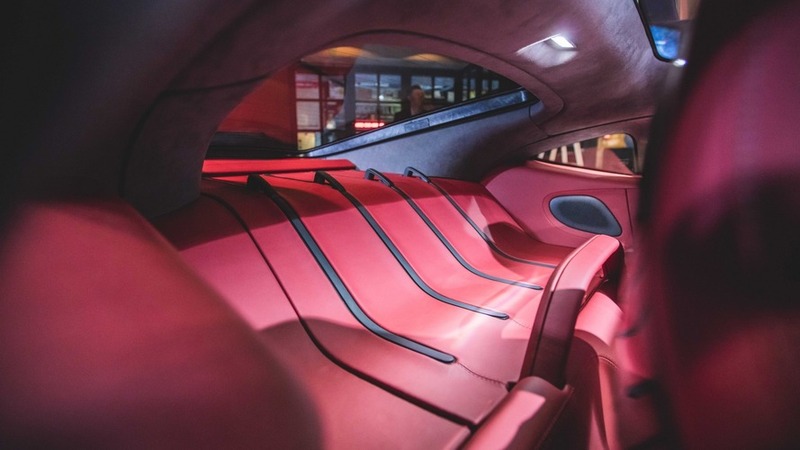 For the same purpose, buyers can select an optional 12-speaker Bowers & Wilkins system with dual subwoofers to take care of entertainment while racking up miles. But don’t think these changes have diluted the Sports Series, because the 570GT is still very fast as you would expect from a McLaren. Sure, it’s softer than the 650S, but the familiar biturbo 3.8-liter V8 engine still packs a mighty 562 horsepower and 443 pound-feet (600 Newton-meters) of torque. That’s enough for a 0-62 mph (0-100 kph) run in 3.4 seconds and a 204-mph (328-kph) top speed, so it’s far from being a slouch. We drove the McLaren 570GT a few months ago in Tenerife, Spain, and trust us when we say it’s still a proper supercar, despite the changes implemented to make it more relaxing during extended trips.